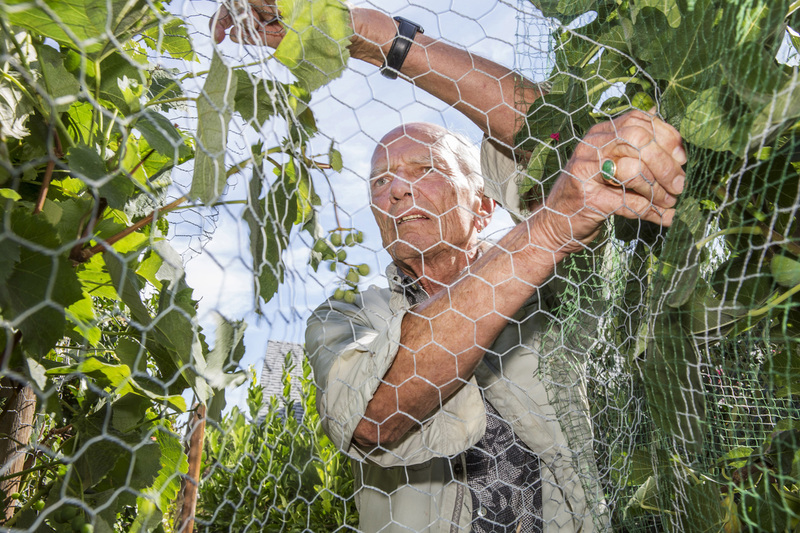 Vince Taylor, a retired former software-company owner, removes wiring from the grape vines in his backyard garden in Oakmont Village, Santa Rosa, California. Vince spends most of his time in his garden but he also plays tennis and bridge. Vince says, "I pick one activity for my body and one for my mind." Oakmont Village provides over 130 activities for their residents.